Scan your Xcode projects and quickly clean your app. Is there a better alternative to CleanX? 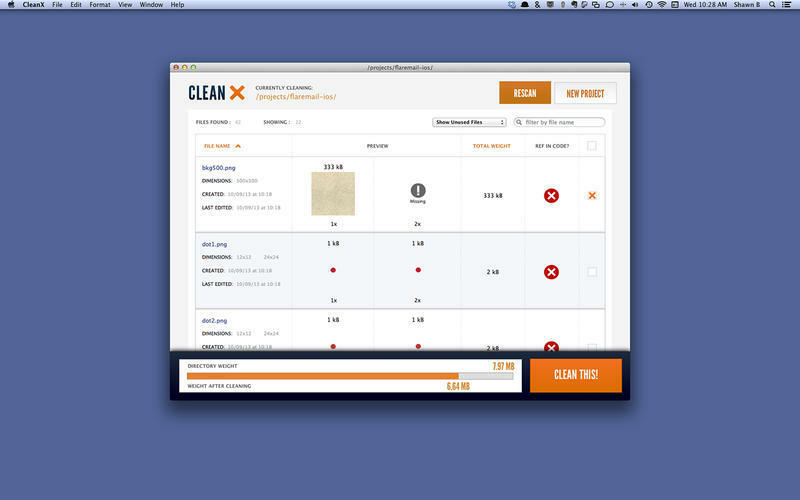 Is CleanX really the best app in Developer Tools category? 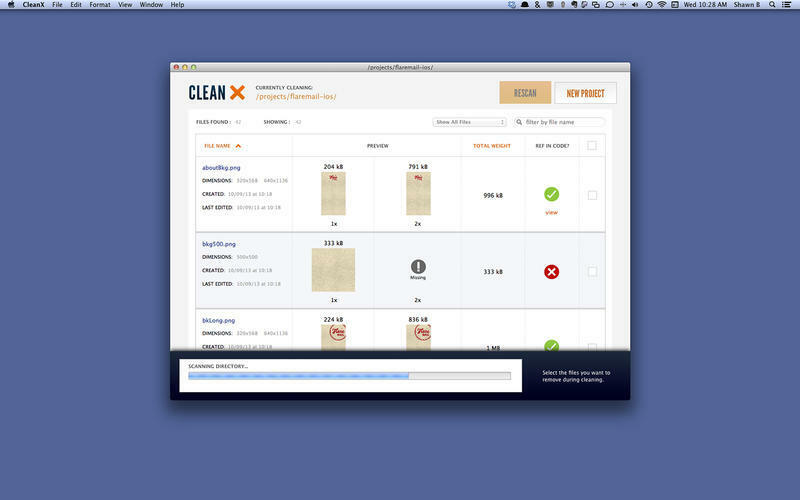 Will CleanX work good on macOS 10.13.4? 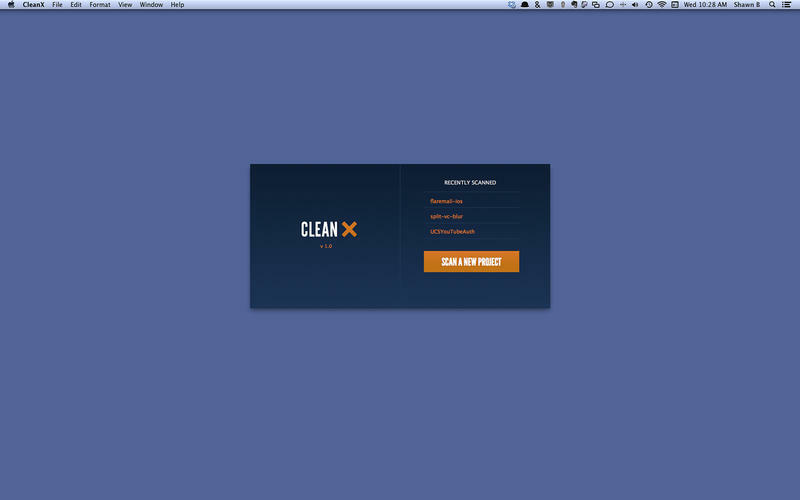 CleanX is an amazing and easy-to-use developer tool. Designed to reallocate unused assets to their own backup folder, scan your Xcode projects and watch how quickly you can clean your app! Eliminate space from your project folders and improve your work flow. When you scan an Xcode project with CleanX, you will see which assets are currently being referenced from your nibs and class files. CleanX needs a review. Be the first to review this app and get the discussion started! CleanX needs a rating. Be the first to rate this app and get the discussion started!